It is claimed that the Facebook Graph app privacy could makes it visible to other people anywhere in the world. Is it true? The main purpose of this article is to provide clearer information for the alleged privacy breakage of Facebook's graph app. The origin might be circulated when a certain new feature roll out with Facebook which provide privacy warning and has a purpose of stopping strangers from viewing likes and comments. I am interested with this so-called hoax or circulated messages that became so mainstream nowadays. Thus, I made this article. Unfortunately we cannot change this configuration because Facebook has made it like this. So, please, place your cursor over my photo that appears in this box (without clicking) and a window will open. Now move the cursor to the word “Friends”, again without clicking and then on “Settings”. Uncheck “Life Events” and “Comments and Like”. This way my activity with my family and friends will no longer be made public. Now, copy and paste this text on your own wall (do not “share” it!). Once I see it published on your page, I will un-check the same for you. Thanks so much! Just so everyone on my friends list knows that I completed this and I am done! Facebook has changed their privacy settings once more!! Due to the new "graph app" anyone on Facebook (including other countries ) can see your pictures, likes & comments. The next 2 weeks I will be posting this, and please once you have done it please post DONE!!! Those of you who do not keep my information from going... out to the public, I will have to DELETE YOU! I want to stay PRIVATELY connected with you. I post shots of family that I don't want strangers to have access to! This happens when friends click "like" or "comment"....automatically, their friends would see our posts, too. Unfortunately, we cannot change this setting by ourselves because Facebook configured it that way.1. PLEASE place your mouse over my name above (DO NOT CLICK), a window will appear,2. now move the mouse on "FRIENDS" (also without clicking),3.then down to "settings", click here and a list will appear.4. REMOVE the CHECK on "LIFE EVENTS and "COMMENTS & LIKES". By doing this, my activity among my friends and family will no longer become public. Now, copy & paste this on your wall. Once i see this posted on your page, I will do the same. Few people give solutions that are inaccurate. They claimed that under subscribed box, in order to prevent other friends from seeing likes and comments, your Facebook friends shall, on the setting, uncheck the life event & comments and likes. After following this might-solution, it is stated to copy-paste on the Facebook wall. 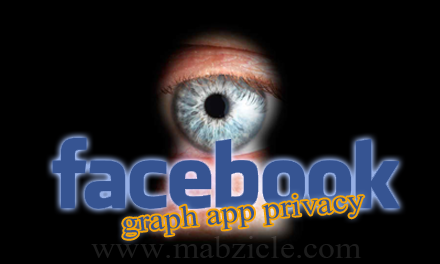 Does Facebook Graph Search provides privacy issue? Do strangers see your likes and comments? Facebook Graph Search is really a cool feature. It makes easier to find information together with Facebook Friends. The truth is: it does not change who really can see the information. If you set it to only friends could see your content, it will remain that way and friends will still see your activities. Does unchecking life events and comments & likes really prevent strangers from seeing your content? 3. Then down to "settings", click here and a list will appear. 4. REMOVE the CHECK on "LIFE EVENTS and "COMMENTS & LIKES". By doing this, my activity among my friends and family will no longer become public. Now, copy & paste this on your wall. Once i see this posted on your page, I will do the same. Following aboved-instructions will not solved the issue. It simply block your friends' updates from appearing on your timeline. In addition, it leads to confusion, it does not solved the problem and it is a time-consuming task. Therefore, don't spread this advice. In case you are concerned with your photos, contents and other activities, you are the sole responsible for your privacy settings.